ARIES (March 21 – April 19): Engagement in the workplace will increase. Money can be spent on unnecessary tasks. There will be an opportunity to go to a wedding party. There may be some worry about the child’s side. Stay away from logic Do not travel. TAURUS (20 April – 20 May): Incomplete pledges can be completed. The means of physical austerity will increase. Trends in art and literature will increase. Secret enemies will be active. Do not be negligent towards health. Wife will get support. GEMINI (May 21 – June 20): The heart of fulfilling an old hobby will die. The family can become the framework of Manglik Organizing. Officials may be angry with you. There is a fear of losing a favorite object. Take investment advice. CANCER (June 21 – July 22): The long-running anxiety will be far away. Do not trust an unknown person. Businesses can have new contracts. Coworkers will cooperate in the work. VIRGO (August 23-September 22): There will be better coordination with the spouse. Youth will get good career options. Interest in academic work will increase. Holding the money may be received. Relationships of lovers will be intense. Officials will provide assistance. LIBRA (September 23-October 22): There can be a concern of the health of a spouse. There is a fear of being exposed to love affairs. Conditions will be normal in the workspace. Court decisions can be in your favor. The journey will be auspicious. CAPRICORN (December 22 – January 19): Avoid borrowing transactions carefully run vehicles. Health can cause anxiety. The mind will be disturbed and depressed. Government employees can benefit. Students will get good results. 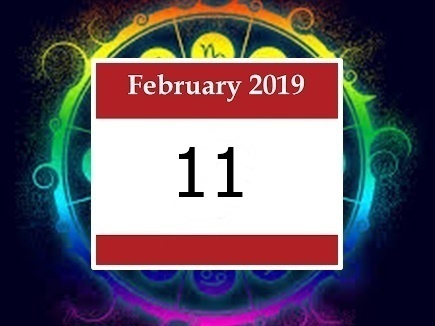 AQUARIUS (January 20 – February 18): With the help of a female friend, important work will be done. The spirit of service to parents will remain in mind. The enemy will be defeated. Yoga is the sum of progress in the job. A new vehicle will be a desire to buy. PISCES (February 19 – March 20): Stay away from the pointless debate. Work done for profit can be harmful. Children’s education, jobs, and anxiety about marriage. The elders will receive the affection and blessings of the elderly. Honor in society will increase.